This is a production trailer. Please contact ROGERS for standard availability. The ROGERS TAG25XXL-AL trailer features a longer 24'-0" x 8'-6" platform deck for increased load space and versatility. 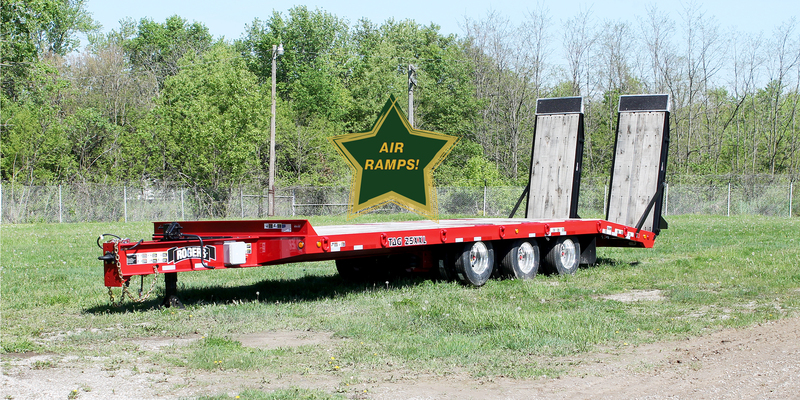 Brand new design Air-powered ramps take the heavy lifting out of loading and unloading the trailer. The front axle of the trailer is mounted to an air suspension that is liftable and can have its axle-load set by the operator. 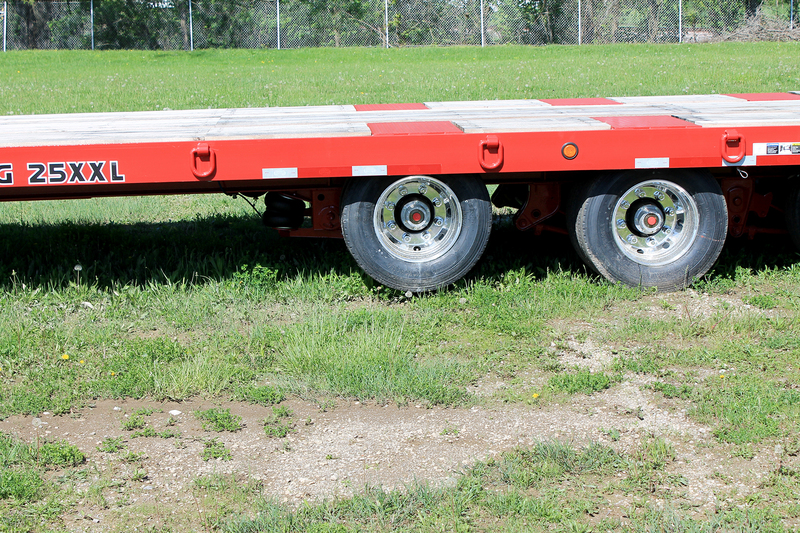 Exclusive 80" long drawbar provides better load distribution to your truck for a smoother, safer ride. Optional aluminum outer disc wheels shown. 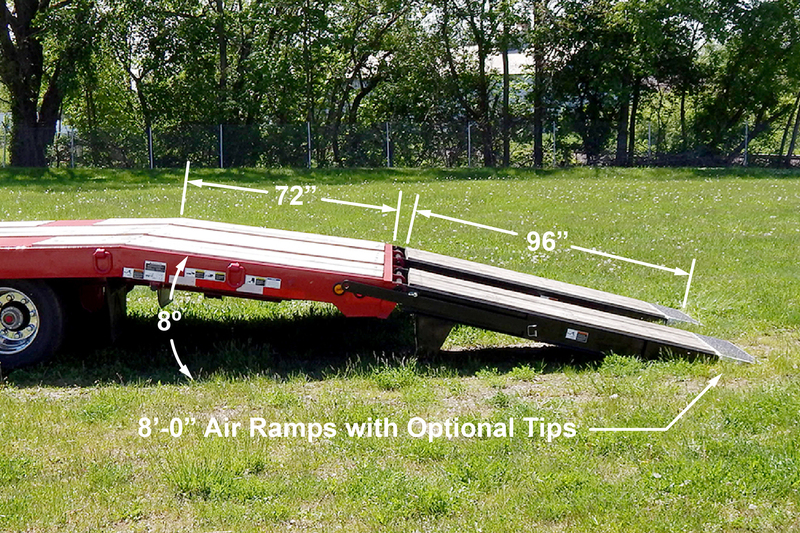 Air powered ramps are 84 inches long and are oak-covered. They feature a 15 degree incline for save and easy loading of machinery. Twelve inch aluminum extension is available to extend ramp length to 96 inches. 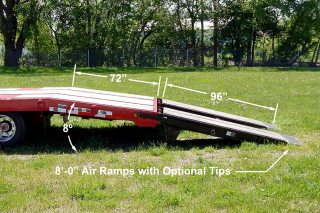 At 38 inches wide, these ramps are wide enough to load equipment of various sizes. 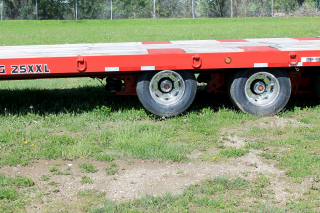 The front axle of the trailer is mounted to an air suspension. The axle can be lifted off the ground when load conditions allow for easier maneuverability. 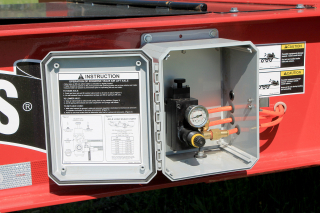 A box mounted to the side of the drawbar contains the air controls for the front axle. A load scale chart allows the operator to set the air pressure on the front axle to carry the desired weight. 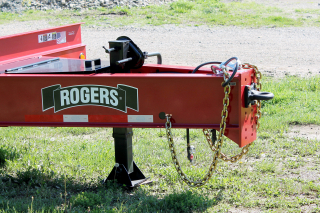 The drawbar front plate is now located lower on the trailer frame for additional clearance and has six mounting positions for the towing eye. The locking plate for the safety chain mounts can be removed and reinstalled to make it easier to adjust the safety chain lengths to better fit the tow vehicle.